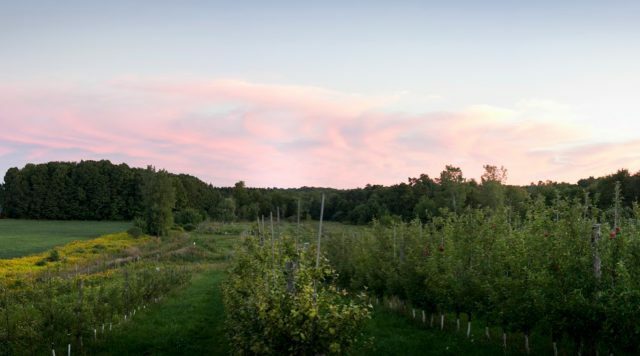 Nestled between Seneca and Cayuga Lakes in Central New York, Redbyrd Orchard is tended to with an earthy mindfulness by Eric Shatt and Deva Maas. 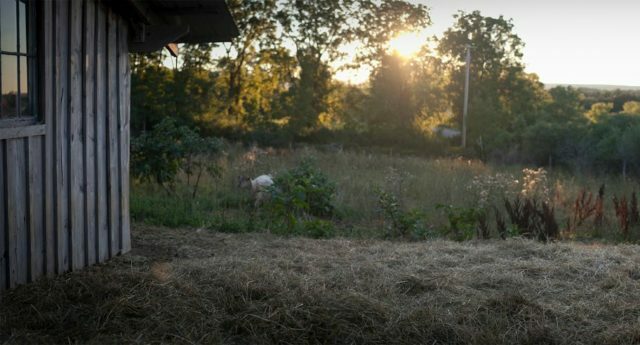 For them, the process of cider making is an expression of life. 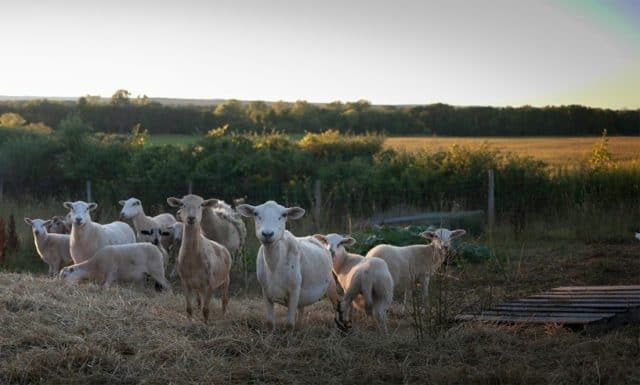 Eric and Deva use the modern practice of biodynamics as a way to farm organically and holistically. In 1920s Austria, biodynamics was started by philosopher and esotericist Rudolf Steiner, after a group of farmers came to him seeking advice for the health of their farms. He came up with what Deb Soule (How to Move Like a Gardener) describes as “an ecological and holistic approach to agriculture that included an understanding of elemental beings, planetary influences, and the spiritual life of the farmer and farm.” Much of this school of thought takes the word “organic” and looks at the working farmland itself as an organism. 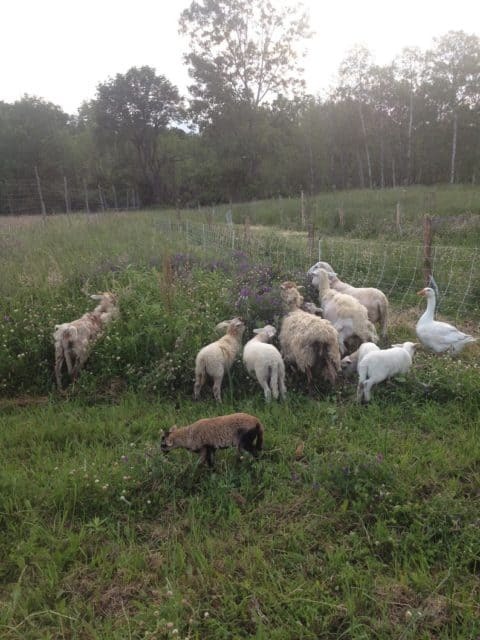 “It’s animals and plants working together,” Deva explains. “The animal consumes plant matter and releases manure, a really powerful nutrient.” They work in what she calls a “closed system” that is completely self-sufficient. To balance cosmic energy and element, Steiner came up with a series of preparations using natural elements to enhance the vitality of the farm. One such preparation involves stuffing a cow horn with cow dung and burying it in the ground for 6 months for the health of the farm. Sounds like too much bull feces, but there is a method behind this practice. After the allotted period of time, that manure changes consistency, having been swept through by cosmic forces. It is unearthed, packed into pellets, stirred into water for an hour, clockwise and counterclockwise, and then sprayed over the fields. Redbyrd’s cider boasts a unique bouquet of English cider apples, heirlooms and cultivated wild apples. The experimentation is boundless, yielding a rich taste. When drinking Porter’s Perfection, one finds that the Golden Russet leaves a deep impression of place and being, buoyed by notes of honey and fresh tobacco. From the design of the orchards to the blending of apples, it is clear the alignment of art and science is what drives Eric and Deva. 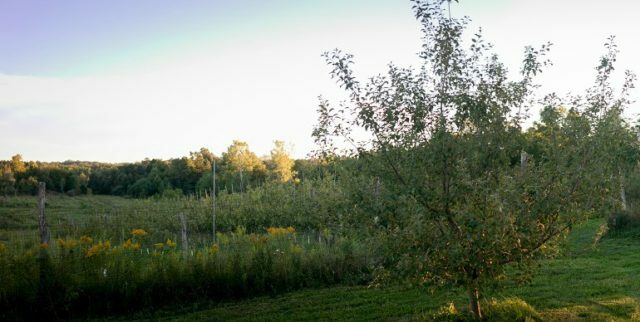 By using the biodynamic method, Redbyrd Orchard has found a way to root itself in the earth while producing a line of ciders with unmistakable quality. Learn more about where to find Redbyrd Orchard Cider on the company website. 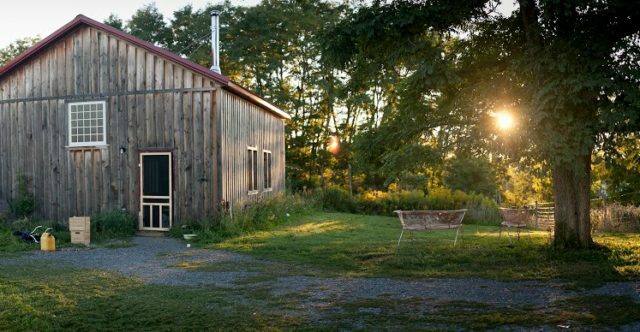 You can also visit their collaborative 5 Cidery Tasting Room at The Finger Lakes Cider House, located at 4017 Hickok Rd. in Interlaken, NY.